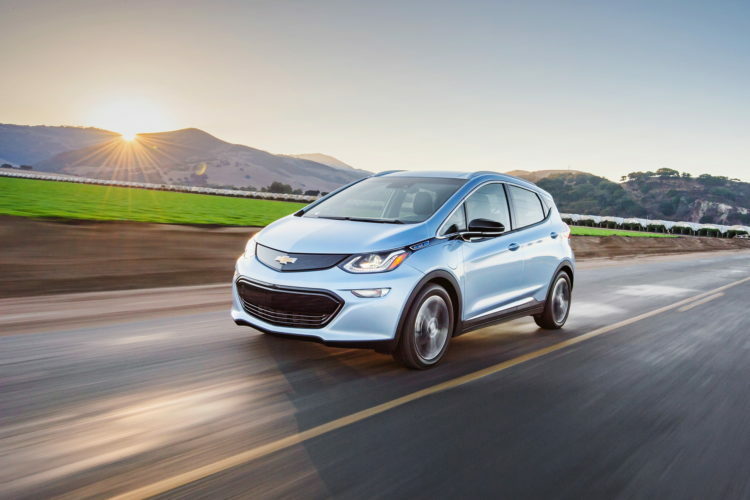 The competition in the pure electric car vehicle segment is heating up. 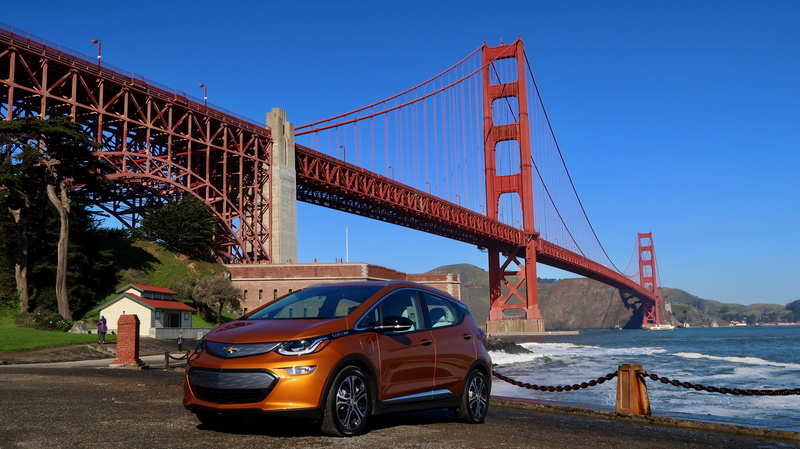 Chevrolet’s all-new Bolt EV is just coming to market and we recently had a chance to put the award winner through its paces along the northern California coast. 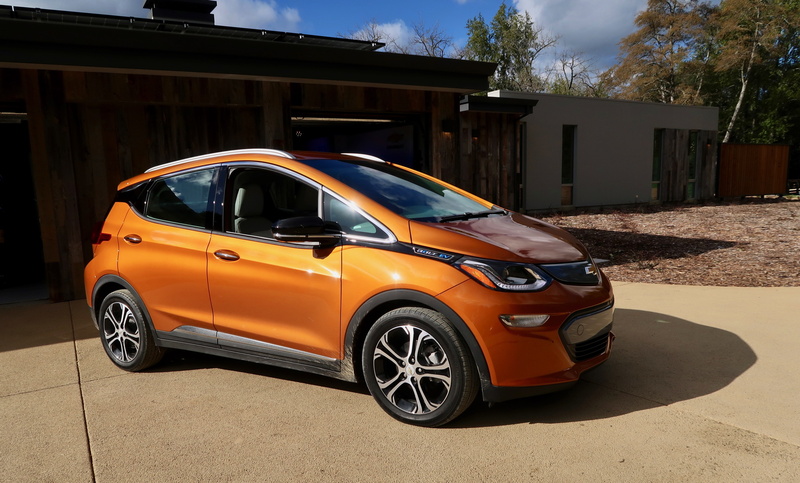 The Bolt has an impressive 238 mile EPA rated electric range and is a practical four-door hatch back with seating for up to five. The base price of the Bolt with the Federal Tax credit is just under $30,000. No one else can provide this kind of range in a pure EV until more than double the price. 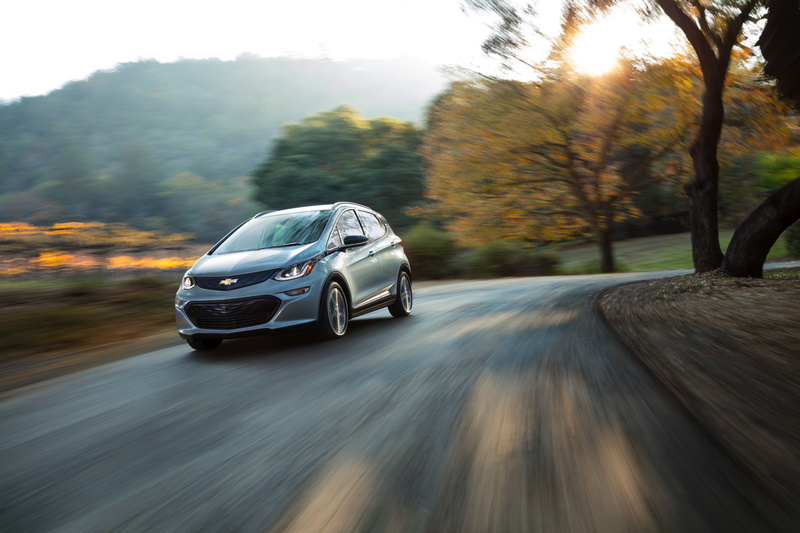 The Bolt has racked up Motor Trend Car of the Year, Green Car of the Year, North American Car of the year and earned a place on Car and Driver’s10 Best. 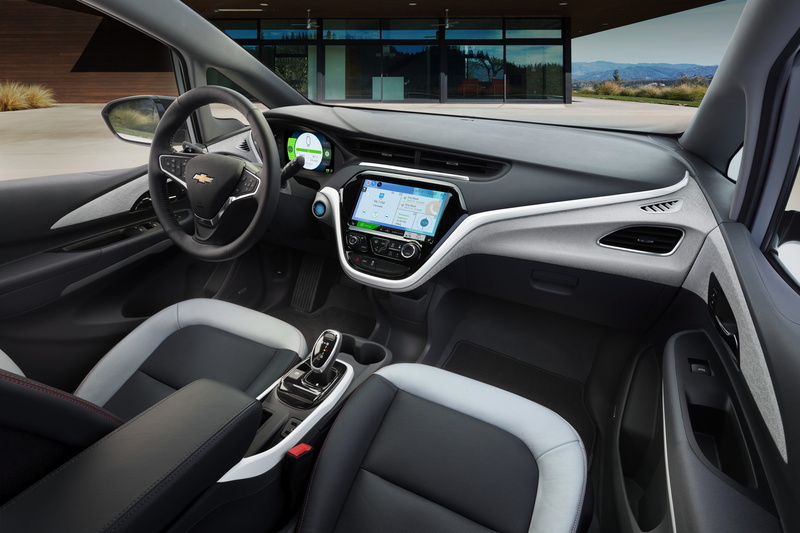 Being ground up designed as an EV, Chevrolet was able to be incredibly thoughtful in its design. The 60 kWh battery is housed along the floor pan and the 200 hp/ 266 lb-ft of torque electric motor powers just the front wheels. The Bolt is able to bolt – no pun intended – from 0-60 in a respectable 6.5 seconds. There is a large raked front window that provides excellent visibility and gives almost a green house effect for the occupants. There is, however, no sunroof option. 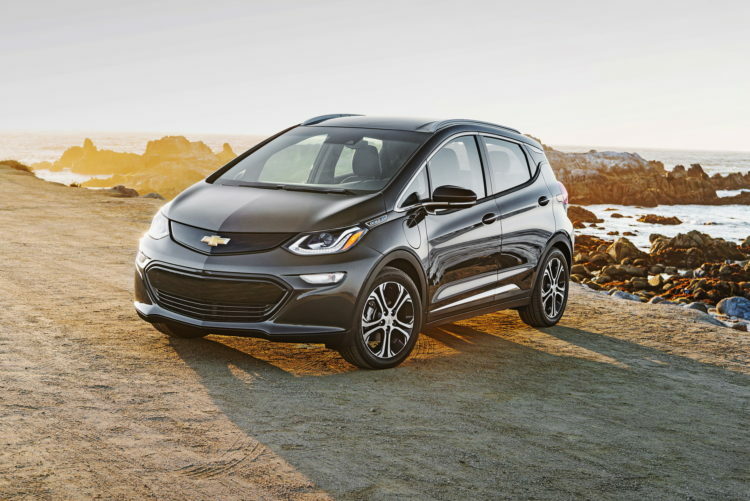 The Bolt was designed to accommodate roof racks and Chevrolet demonstrated this for us with one Bolt toting surfboards. Driving style in the Bolt can be tailored to suit. Put the Bolt’s transmission in drive and it functions exactly as a petrol-powered automatic, when you lift off the pedal, it coasts. If the car is at a stop and you lift off the brake, the Bolt creeps forward. For those of us who love one-pedal driving bump the shifter down again and bingo, typical EV driving. One pedal driving is the most efficient way to drive an EV because the action of lifting off the gas pedal slows the car down by recharging the battery instead of using the brakes. A cool feature of the Bolt is a handbrake feature on the left side of the steering wheel at the 9 o’clock position. If you need to slow the car will trigger a more aggressive regen. 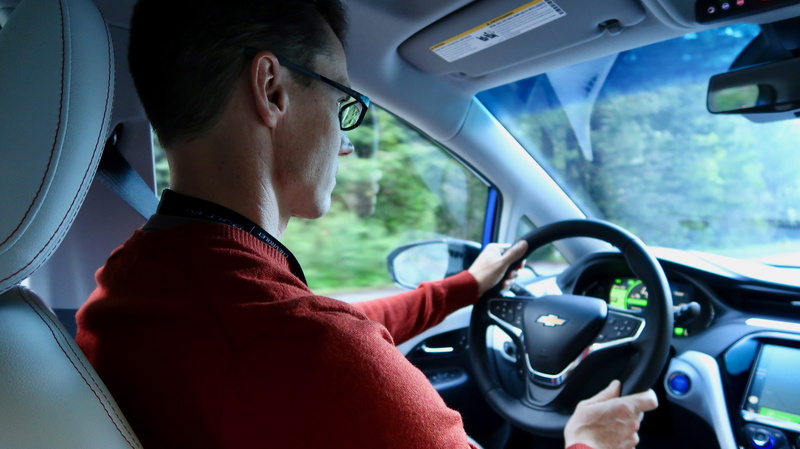 This “Regen on Demand” – as Chevrolet calls it – can be used in either regular driving mode or one pedal mode. Our drive started out in Palo Alto, California at a brisk 38F/3C. The very first thing I did was turn on the heated seats and heated steering wheel in our Kinetic Blue Bolt while we were ciphering our route book. I also turned on the Bolt’s “toaster” style heater to warm the cabin. 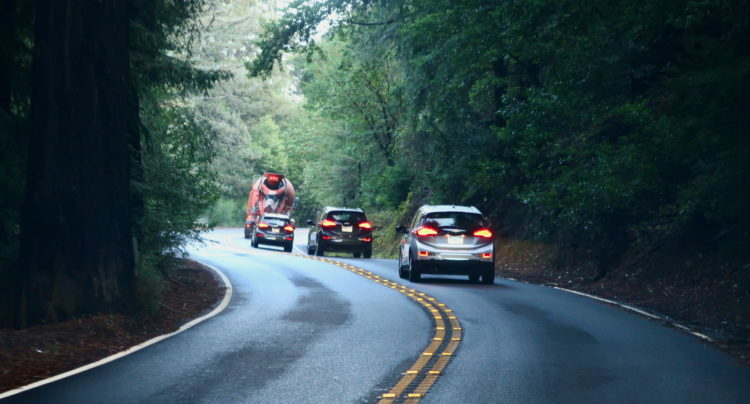 Our early morning route took us on some very tight switch backs up and down the Santa Cruz Mountains headed to the big wave surfer’s paradise of Half Moon Bay. The low center of gravity and instant torque of an electric motor made an enjoyable drive. Coming down the mountain we used regen quite a bit and even gained some of our range back. Acceleration is strong but not overwhelming. The surprising part for me on the highway was just how composed the Bolt is at highway speeds. We had no trouble keeping up with the flow of traffic. The driver has an 8” configurable display which in addition to being a speedometer, shows charge remaining in miles, and electrical consumption in miles per kWh. The center console has a large 10.2” display which is also configurable for entertainment, phone integration and navigation. Chevrolet chose to allow the Apple CarPlay or Android Auto on your own phone to provide the navigation to the car. The only downside to this is that your phone must be physically tethered to the car via a USB/Lightning connection. The Bolt can also provide a Wifi hotspot for up to seven devices with its 4G connection. You do have to opt for a data plan for the car after the 3 months, 3GB data expire. Once the back seats are laid flat, the cargo capacity of the Bolt goes from 56.6 cubit feet, up to 94.4. In order to maximize the opening to haul big stuff the rear lights are housed in on the rear hatch. This meant that designers had to include redundant brake lights in the rear bumper in case the owner is hauling something that won’t allow the rear lift gate to be closed. Chevrolet designers also included an ingenious rear view camera mirror incase you fill your cargo hold all the way up obstructing a traditional rear view mirror. To activate, just flip the switch on the mirror and the image on the mirror now comes from a camera mounted in the rear tailgate. I found the resolution very good, but noted that 3 dimensional depth perception was 2D during the camera rear view mode. In case you think this digital rear view camera would get messed up in foul weather, the lens is sprayed with wiper fluid every time the Bolt’s windshield washers are activated. As far as options go, the Bolt we drove was a Premiere, with nearly every option ticked. It had a Bose 7 Speaker system with subwoofer. There were a host of driver aids including blind spot detectors, lane keep assist, front pedestrian braking and rear park assist. Surround Vision uses four cameras to create a Birds Eye View of the Bolt which is helpful in really tight parking spots. Though there are LED daylight running lamps, the headlights are Xenon. The rear brake lights on the lift gate are all LED. 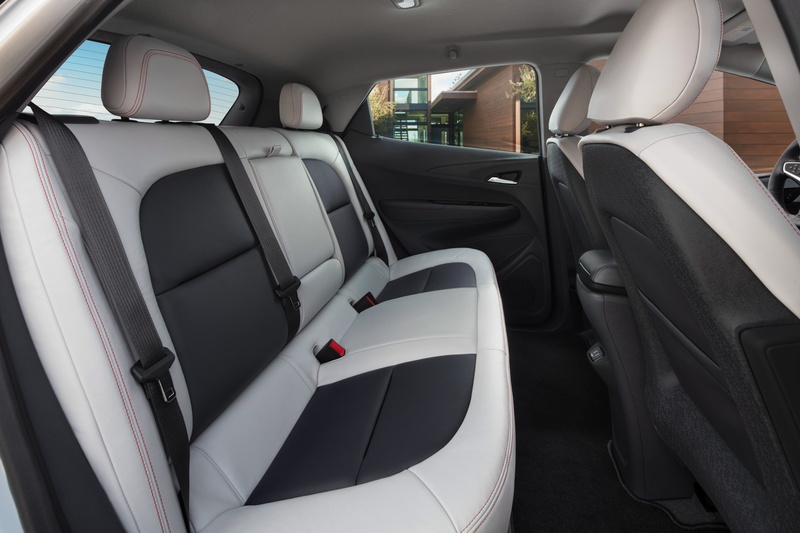 Heated seats aren’t just limited to front passengers, they are also found in the rear. 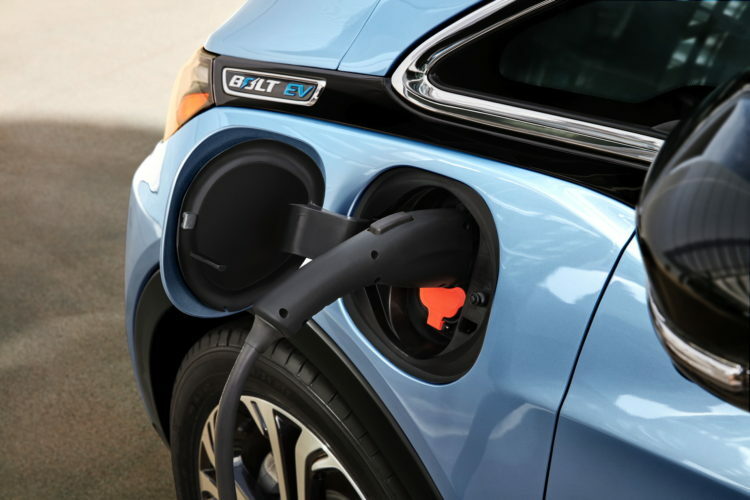 When it comes time to charge the Bolt, 25 miles of range can be added per hour using a 32 amp, 220v J1772 charger. DC Fast Charging Capability is a $750 option and can add 90 miles of range in 30 minutes depending on the state of your battery. This DC option is becoming more common place and is extremely helpful when trying to go on a long distance trip. The Bolt has an excellent app to communicate with the car while you are away to check the state of the charge, start charging or even pre-condition the cabin before your journey. My only criticisms of the Bolt are born from the thousands of miles I’ve driven other EVs. I really missed the ability to option Active Cruise Control. In stop and go traffic in an electric vehicle, I find it invaluable. Since it was a ground up new car, I was hopeful it too would be able to do software updates over the air, but the Bolt will instead require trips to the dealer. Lastly, I think DC charging should be standard as 32 Amp charging will take about 9 hours to recharge a fully depleted battery and doesn’t lend itself well to road trips. Fortunately the DC Charging is optional and Chevrolet tells me roughly 75 percent of the Bolts being shipped right now have it spec’d. 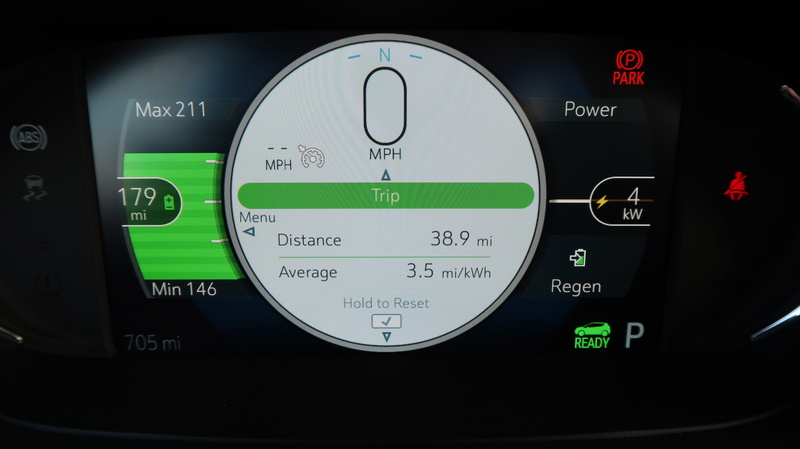 In our drive of about 100 miles, we averaged 3.8 miles/kWh which would be about 210-220 miles of range. We didn’t drive the Bolt in ideal EV conditions. The weather during our drive was cold starting out. On the interstate, we ran 75 mph+ and we even trekked up through the mountains. We drove the Bolt just as you would a petrol powered car. We kept up with traffic, felt zero range anxiety and despite all that had incredible range left. 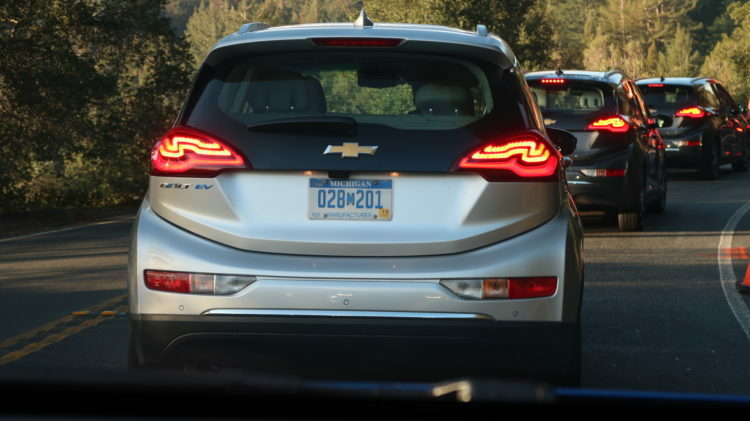 In the Bolt, Chevrolet has managed to make not only a great EV, but a great car. With its range and practicality, it should help bring wider adoption of EVs. The right price combined with great range, the Bolt EV is already a winner.